This was the sad news that confronted watchers of international news on global television networks mid this week. But it was even most grievous news for combatants of the Popular Front for the Liberation of Saguia el Hamra and Rio de Oro (POLISARIO) and the people of Western Sahara who are resisting Moroccan occupation of their country. For us in the rest of Africa, coming to terms with the news of the passing away of a leader of liberation movement reminded us of the passing away of leader of similar stature such as Samora Machel of Mozambique, Augustine Neto of Angola and other leaders who were facing up to colonial rule of their respective countries. It brought to the fore the popular battle cry of those days in the fight against colonialism, minority rule and apartheid in Africa. That battle cry was: A LUTA CONTINUA – the struggle continues. This is the least the people of Africa can say coming to terms with the passing away of a leader of a liberation movement which is battling a strange form of colonialism, one African country colonizing another. For when we reflect on liberation struggles against colonialism in Africa, we see that colonial powers have never been inside Africa, but have come outside the continent. In East Africa, an erstwhile colonial power was Britain as much as France was in West Africa. But the thought that a country in Africa can ever be a colonial power over an-other African country appears strange if not far-fetched. But it has happened with Morocco’s claims over the territory of Western Sahara as part of the Kingdom of Morocco. The entire international community has roundly rejected this claim. A couple of months ago, this newspaper had a pleasant surprise for me when I read a news item on its page dedicated to news about Africa. Rang the headline: US DOES NOT RECOGNISE MOROCCO’S SOVEREIGNTY OVER WESTERN SAHARA. Went on the item: Washington: The United States of America does not recognise the so-called sovereignty of Morocco over Western Sahara, considered by the US as a “non-autonomous territory pending decolonisation, congressmen have stressed here. Conyers, who also cochairs the Sahrawi caucus at the US Congress called on the US government to support the Security Council’s proposal to provide the United Nations Mission for the Referendum in Western Sahara (MINURSO) with a human rights monitoring mandate. Now before me is a document on country reports on human rights practices issued by the Department of State of the United States. 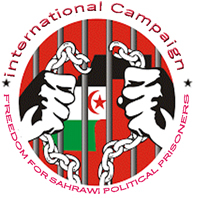 It details, among other things Moroccan violation of human rights including torture and inhuman treatment of Sahrawi people by Moroccan occupation of Western Sahara. According to reports, the European Union (EU) has also been critical in its relationship with Morocco over the latter’s continued occupation of Western Sahara. But the African Union (AU) has gone even further. It has granted Western Sahara full membership of the all- African body. Majority of African countries, including Tanzania have recognised the Sahrawi Republic as a sovereign state and the state of Western Sahara (SADR) has a full embassy in Dar es Salaam and a number of other African countries. These steps are an unambiguous message to Morocco that its occupation of Western Sahara is wrong and a gross violation of the rights to independence of another people. As I am writing, vivid memories of the Sahrawi people in their liberation struggle come to mind as I visited them in some part of their territory in the 1980s as a guest of Polisario Front, the liberation movement engaging Morocco in its continued occupation of Western Sahara. It is a rather long time since then, but what I am most gratified is that the Sahrawi people have won the support of not only Africa, but the rest of the international community on their indelible right to independence and self-determination. The stance of the United States has lifted my spirits even higher but with a limitation. How much I wish American leaders extended the same stance to the question of Palestine as they are showing on the rights of the Sahrawi people. What is now Israel was not there before 1948. What existed then was Palestine in map and reality. That Israel was created by force of arms abated by the British Balfour Declaration is an undeniable factor proved by historical record. If Israelis have a right to exist as a free people, so Palestinians deserve the same right. What is happening to Palestinians today is heart-rending to all human beings everywhere. Their Israeli neighbours are daily brutalizing them. Why not have a separate state for the people of Palestine to live side-by-side -- and not a local authority as it is today -- which reminds one of the old Bantustans of the erstwhile former apartheid South Africa? It will be good news indeed for us to hear American congressmen voice as much concern on Western Sahara as on Palestine. Coming to terms with the news of the passing away of the Sahrawi leader, memories of my sojourn in the Sahara Desert with the people of Western Sahara, taking coffee with them in their tents in the desert gives me a heartache on the fact that one’s home is one’s home regardless of where that is. The people of Western Sahara should all be united in the face of the sad news of the death of their leader to continue the struggle. There is nothing as precious as independence. Fighters in the Polisario Front should close ranks for closer unity of purpose to liberate their motherland; they should reject all attempts at driving a wedge aimed at dividing them against their common goal: freedom of Western Sahara.